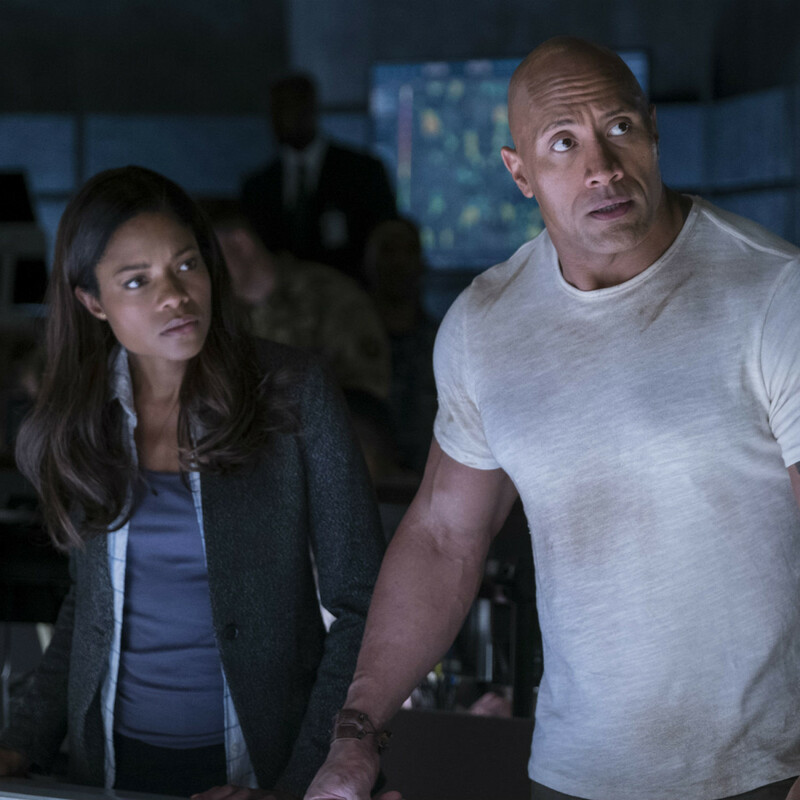 Dwayne Johnson has become a big enough movie star that it’s more than fair to start questioning his choices. With 10 out of his last 14 movies earning over $100 million, and many of them making well above that mark, he can get approval for almost any movie he wants to make. So why, apart from the obvious answer of money, does he continue to attach his name to such dreadful material? 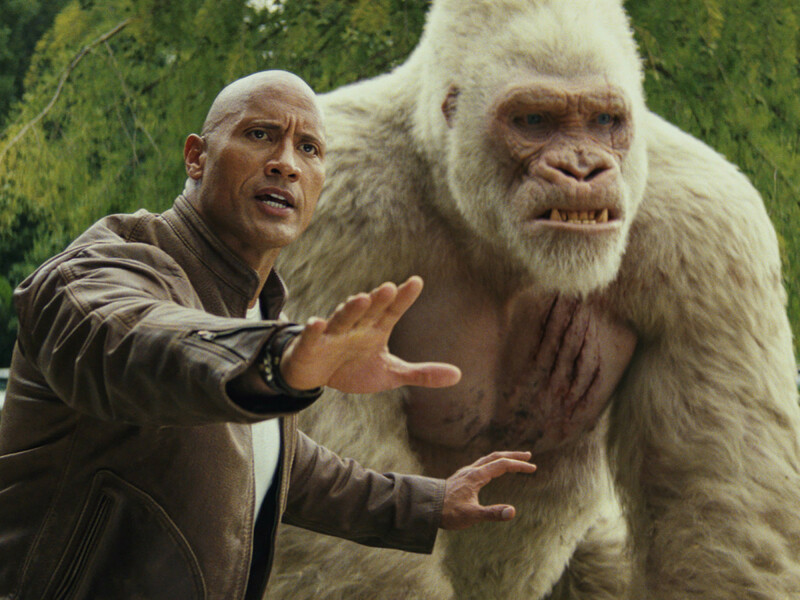 His latest awful outing is Rampage, which is very loosely based on the popular ‘80s video game. Johnson plays Davis Okoye, a primatologist at the San Diego Wildlife Park who works well with one of the park’s gorillas, George. When a weaponized version of the gene-editing serum called CRISPR (which is a real thing) gets plunked down at several spots in the U.S. after a space station accident, George, a wolf, and an alligator all inadvertently get transformed into gigantic, aggressive versions of themselves. 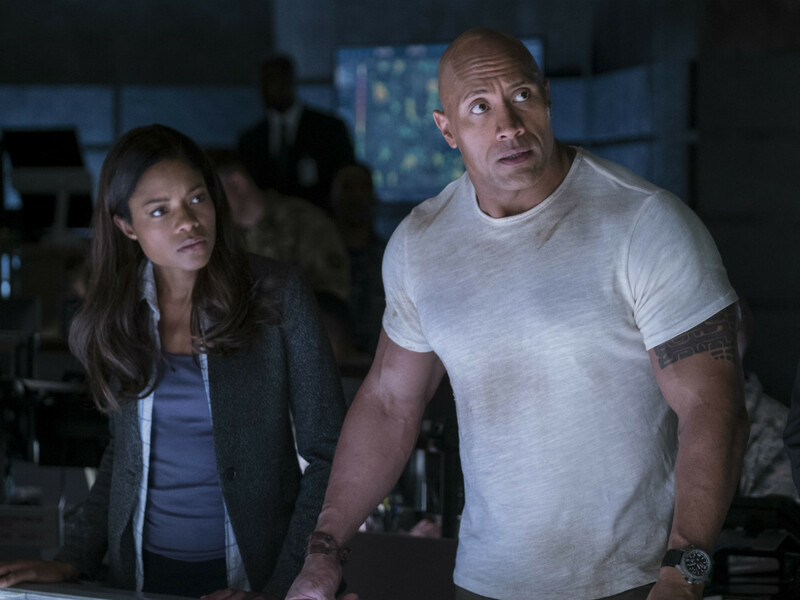 They proceed to create havoc, and it’s up to Davis and rogue scientist Dr. Kate Caldwell (Naomie Harris) to find a way to stop them. 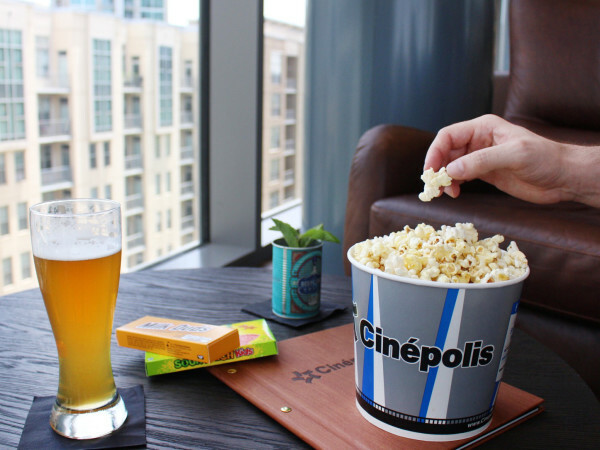 The result is one of the most inane, uninspired, and lazy movies I have ever seen. And I’m not even talking about the story; it’s almost a given that this type of movie will have plot holes a mile wide. 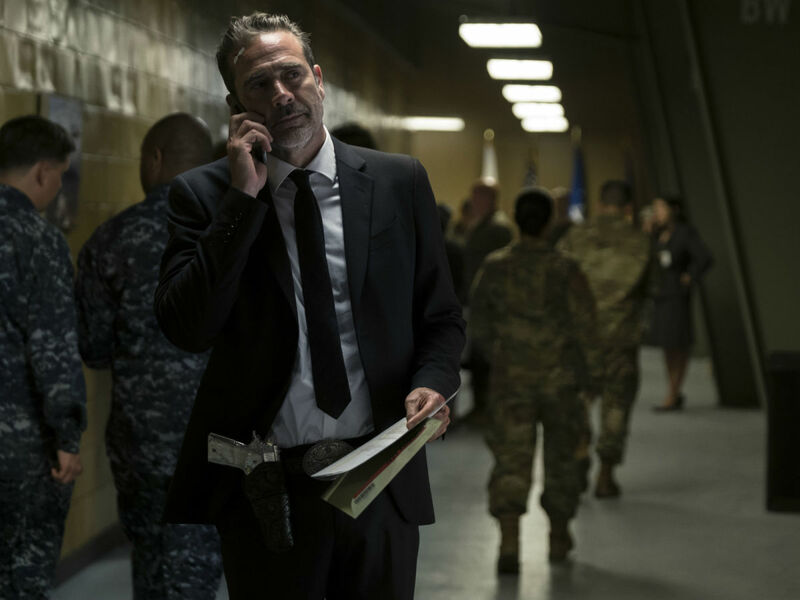 But the fact that director Brad Peyton and the quartet of writers (who include Lost’s Carlton Cuse) consistently go for the easy and dumb ways of trying to entertain the audience should be insulting to any moviegoer, discerning or not. They give us villains (Malin Akerman and Jake Lacy) who are evil for no apparent reason and whose motives appear to stem from the presence of the original Rampage video game in their offices. The wolf and alligator acquire wild side effects from the serum, but George only becomes bigger so that he doesn’t appear too monstrous. And, like Pacific Rim Uprising and other destructive movies, they expect us to get excited over the demolition of many buildings and vehicles, even if that means that we’re seeing hundreds or thousands of innocent people die in the process. Johnson puts on his usual charm offensive, but it’s in support of such a generic and uninteresting story that it takes him down. They pay lip service to Harris’ character being smart and capable on her own, but she never gets a chance to show it. 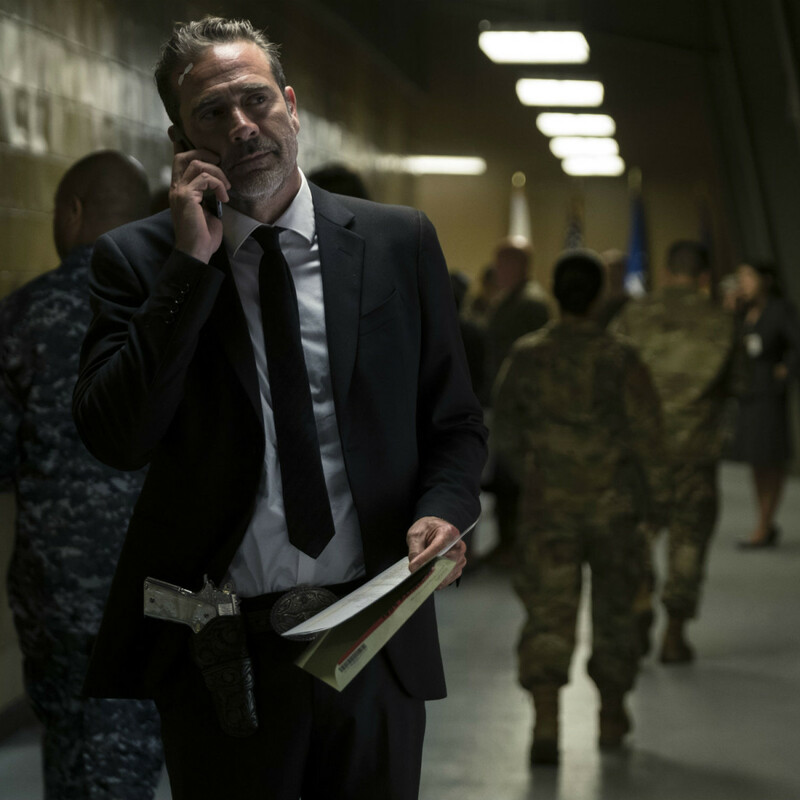 The only truly entertaining actor is Jeffrey Dean Morgan, who chews the scenery as a government official with zeal, showing he’s the only one who understands what the movie should have been. 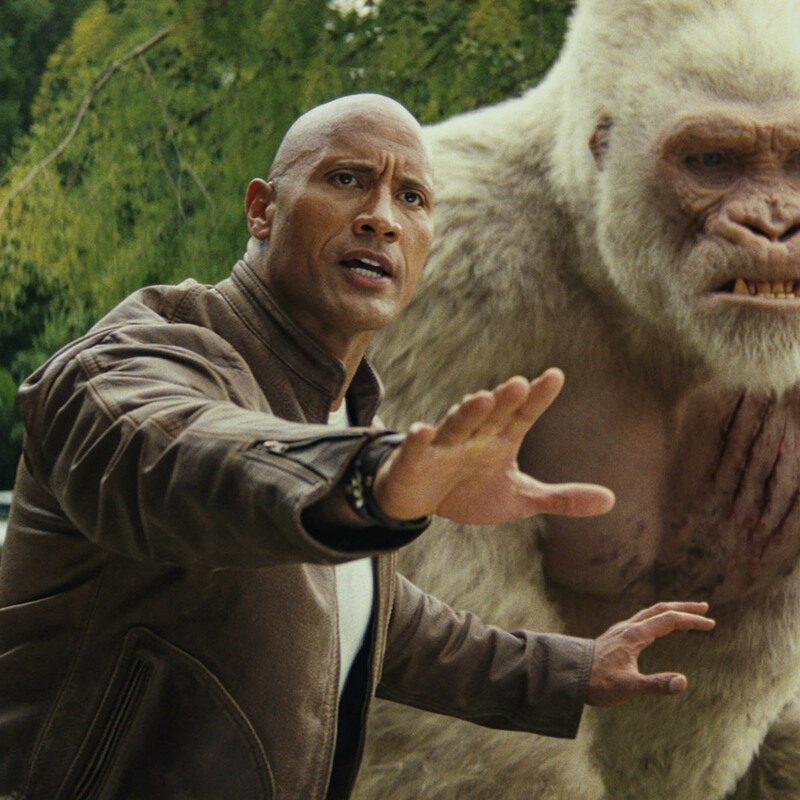 Johnson has shown glimpses through the years of using his powers for the good of moviegoers, but Rampage indicates that he’s still much more interested in making money than making good movies. It’s possible he can change, but I wouldn’t bet on it anytime soon.